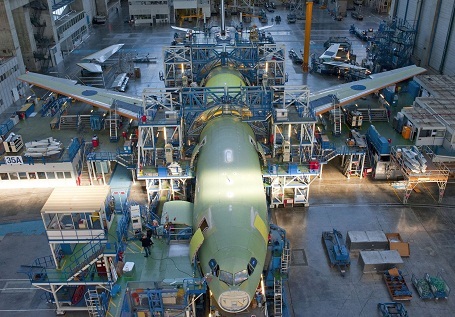 The December 2013 European Council “encouraged strong involvement of SMEs in EU funding programmes” anad stressed that “the European Defence Technological and Industrial Base (EDTIB) should be strengthened by inviting the Commission and the EDA to work closely with Member States to stimulate dual-use research”. In May 2015, the Foreign Affairs Council invited to “promote that relevant EU funding mechanisms are made more accessible to the defence industry”. “European Structural and Investment Funds (ESIF) may be used by Member States in the defence sector”. supporting access to EU funding both for national and cooperative R&T projects, as well as for Key Skills and Competencies (KSC) in defence (both in MoDs and defence industry). EDA will keep promoting and facilitating defence stakeholders access to EU funding, by informing wider EU policies in a tailored manner. Particularly, the Agency’s work on “EU funding” is to support the priorities identified under the Overarching Strategic Research Agenda and Key Strategic Activities (i.e. technologies, manufacturing facilities, skills) by pointing out and informing, also on a case-by case basis, the complete range of available EU funding policies, e.g. the European Defence Fund (EDF), ESIF, COSME, Erasmus+. informs EU funding instruments of defence projects and programmes based on Member States’ prioritisation, conducted in the EDA within the Capability Development Plan (CDP)-Overarching Strategic Agenda (OSRA)-Key Strategic Activities (KSA) framework, as well as promotes their funding through such instruments. EU programmes, though often competitively accessed, can represent a relevant source of funding for defence-related stakeholders, additionally to budgets earmarked for defence..
From 2013 to 2015, EDA has been raising awareness on such opportunities by delivering 12 ESIF seminars in Member States (BG, CZ, EL, FI, IE, HR, HU, IT, LV, PL, PT, RO), including concrete coaching sessions (which have been representing an effective local learning process on how to actually prepare and submit an ESIF proposal). Through high-level roundtables, attended also by the European Commission, ESIF seminars have also been supporting dialogue between Ministries of Defence (MoDs) and national/regional ESIF Managing Authorities and contributing to the establishment of a new mindset for reciprocal cooperation. As a result, in some regions, MoDs’ experts and dual-use priorities have been integrated in the definition of the local R&T+I Smart Specialisation Strategy (RIS3). Taking into account workshops and training delivered at EDA premises, about 1300 defence-related experts (from MoDs, SMEs, universities, research and technology organisations, etc.) benefitted from EDA’s events on ESIF. EDA has also selected R&T projects to provide with free high-level technical assistance in order to maximise their chance to access ESIF grants. A first 2013-2014 pilot procedure successfully resulted in a Portuguese project co-funded by the European Regional and Development Fund (ERDF - one out of the five ESI Funds). A second project has been awarded in 2016 with almost 80% co-funding by a Polish ERDF national Managing Authority. Based on the methodology followed for above mentioned successful pilot R&T projects, the Agency has published a handbook providing a step-by-step guidance to defence stakeholders on how to apply for ESIF. Since 2015, to further and extensively validate its successful methodology within the ESIF multiannual financial framework running till 2020, EDA has been - based on a specific “ESIF Request for Projects” procedure - supporting access to ESIF for R&T projects in 16 EDA participating Member States, within 22 predefined priority areas. Like in the former pilot procedure, it specifically targeted the ERDF. Under above 2015 procedure, the first project assessed by an ESIF Managing Authority has been funded in Portugal in 2016, including direct co-funding to the MOD, as partner of the awarded consortium. In 2017, EDA-supported R&T projects in Estonia and Poland (the latter with direct interest for military operations) have been awarded ERDF co-funding. This work of the Agency has paved the way to the EDAP acknowledgement that “ESIF may be used by Member States in the defence sector”. All above five EDA-supported R&T projects funded by ESIF are led by SMEs, consistently to the December 2016 European Council’s mandate calling all relevant actors to take forward - inter alia - the EDAP work fostering investments in defence supply-chains, with particular focus on SMEs. Defence-related technology domains benefitting from ESIF under EDA’s assistance have comprehended so far energy, naval, robotics, components and modules, radio-frequency sensors, aerial, advanced materials and structures, communication information systems. Therefore, the Agency’s work concerning ESIF delivers on the defence capability priority areas stressed in the 2016 EU Global Strategy and its Implementation Plan on Security and Defence, as well as in the Implementation of the Joint Declaration by the President of the European Council, the President of the European Commission and the Secretary General of the North Atlantic Treaty Organization. Since 2016 EDA is also assisting MoDs and defence-related stakeholders to develop maritime cooperative projects (thereby also supporting the EUMSS Action Plan), in order to provide them with technical support to apply for ESIF Transnational (“Interreg V.B”) co-funding. published an EDA’s “ESIF web-platform” to provide any potential defence-related stakeholder (e.g. MoDs, industry, research-and-technology organisations, academia, clusters) with an interactive mapping on ‘sources’ of regional, national and transnational calls for proposals under Structural Funds, as well as respective contact details of ESIF Managing Authorities in charge for funding allocation. In 2016, through a dedicated exploratory study on the EU COSME Programme (running till 2020), EDA clarified the opportunities provided by this new EU instrument. Ministries of Defence and industry (mainly through National Defence Industry Associations) have been briefed on the study results. Among its follows-up, a 5-minute audio-video tutorial has been released by EDA to swiftly introduce defence-related SMEs in EU to the main structure and opportunities of the COSME Programme. COSME grants for cross-border cluster partnerships. Based on the outcome of the above study, the Agency is working on new initiatives in support of defence-related SME access to finance. eligibility conditions for both “dual-use” and “pure defence” SMEs. Within, the «triple elix» EDA-Commission-EEN collaboration, EEN Sector Groups (SGs) Chairs have been feeding both Agency’s CapTechs and “Modelling & Simulation SME platform” with new and innovative dual-use SMEs. Reciprocally, above mentioned SGs Chairs have been informed on ongoing initiatives under EDA’s structured dialogue with industry and about 480 EEN’s local members have been identified to provide their free services to “dual-use” SMEs. EDA is also supporting access to COSME-funded calls for proposals published by the Brussels-based EASME (EU Agency for SMEs) awarding grants to transnational cluster partnerships in the dual-use and defence domain. To this end, EDA organises cluster-to-cluster meetings and promotes on-line networking. In 2018, first two transnational cluster partnerships have successfully accessed COSME grants. Since 2016, EDA has been delivering more comprehensive “EU funding” seminars in Member States (CY, ES, AT), by introducing all defence-related stakeholders , among others, to ESIF and COSME opportunities: about 250 participants have attended (from industry, RTOs, academia, MoDs/Armed Forces, etc.) these seminars. Taking into account the earlier organized training, workshops and seminars on ESIF, more than 1500 defence-related experts (from MoDs, SMEs, universities, research and technology organisations, etc.) have benefitted from EDA’s events in Member States. Aside to above seminars, the Agency has facilitated high-level roundtables fostering contacts between Ministries of Defence (MoDs) and defence industry on the one hand, and Member States’ actors deploying EU funding opportunities nationally, on the other hand, with the participation of the European Commission, the network of national “SME Envoys” and the EEN. As a result, both ESIF Managing Authorities and COSME financial intermediaries have been briefed on the specific eligibility rules for defence-related stakeholders. In future, subject to Member States request, the Agency may deliver EU funding seminars aimed at advising defence-related stakeholders on differentiated access to European funding opportunities. Also EDA’s web-tools play a prominent role within the “Access to EU Funding” work in order to support broadly - in a smart, immediate and effective way - the defence industry, particularly SMEs. Additionally to above mentioned EDA’s COSME and ESIF web-platforms, EDA has published on its website an European Funding Gateway to provide all defence-related stakeholders with first-sight orientation on ESIF, COSME, Horizon2020, EDA’s ad-hocs, European Defence Fund (Preparatory Action for Defence Research and European Defence Industrial Development Programme), Erasmus+, European Investment Bank, CEF (SESAR). The EDA work on “access to EU funding” is part of the Agency’s role to act as facilitator towards the European Commission and EU Agencies, and as the interface upon MS’ request, exploiting wider EU policies to the benefit of Defence. Within this role, and on the basis of the prioritisation conducted by Member States within the CDP-OSRA-KSA framework, EDA can inform the EU funding instruments foreseen in the EDAP. The objective is to deliver capabilities, ensure a competitive, innovative and balanced basis for Europe’s defence industry by mobilising EU support in addition to Member States' financing. To this end, the workstrand goals will aim at informing accordingly forthcoming EU funding programmes and their overarching policies (e.g. Smart Specialisation Strategies - RIS3 - re ESIF 2021-2027; “EU Country-specific Recommendations” concerning ESF). It will also guide defence industry towards tailored access to the complete range of European funding opportunities (e.g. EDF, ESIF, COSME, ERASMUS+, EDA’s ad-hocs).